The 20th Bioneers Conference brings together today's eco-visionaries to tackle the most pressing environmental issues. September 4, 2009, 12:41 p.m.
“Like TED but all green,” is how many environmentalists describe the Bioneers Conference, an event that brings together out-of-the-box eco thinkers, green visionaries, and environmental leaders to attack head-on our most serious environmental problems. Evenings will be dedicated to movie screenings, parties, dancing and socializing. Plus there’ll be fun conference-not-as-usual activities, like herb walks and a seed exchange. And for those who need more than just three days, pre-conference and post-conference intensives will be offered on Oct. 14 and 19. Conference tickets cost $410 for the whole weekend or $160 a day — less for Bioneers members, who can also apply for partial scholarships. Can’t afford the ticket, or can't take the time away? 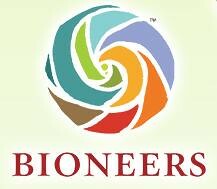 Then catch Bioneers via the Beaming Bioneers program and participate in the event live via satellite feed. Find a Beaming Bioneers partner near you — or get your local community group to sign up as a partner!